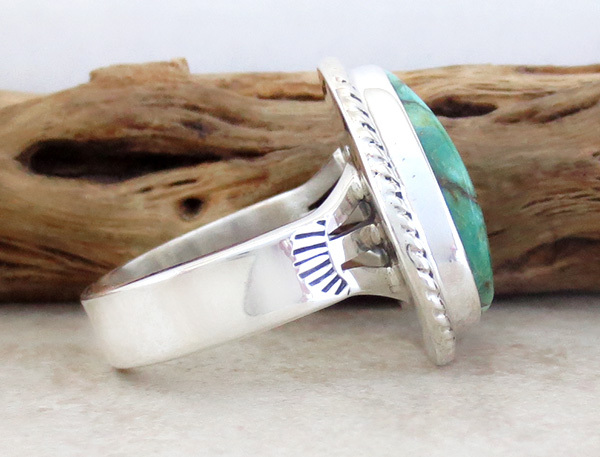 This ring is a size 10 and was created by San Felipe Artist Philip Sanchez. 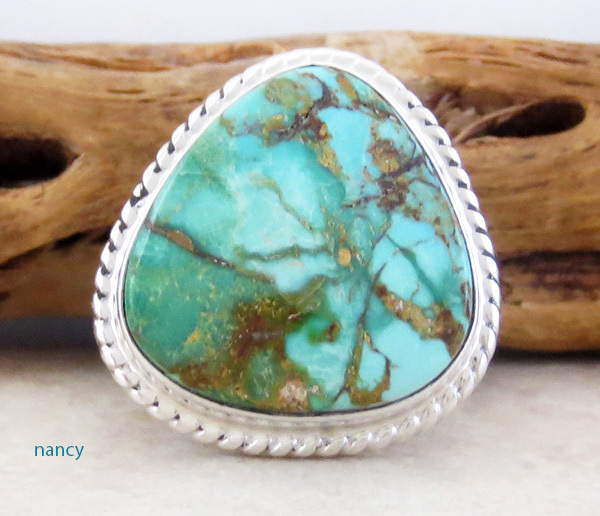 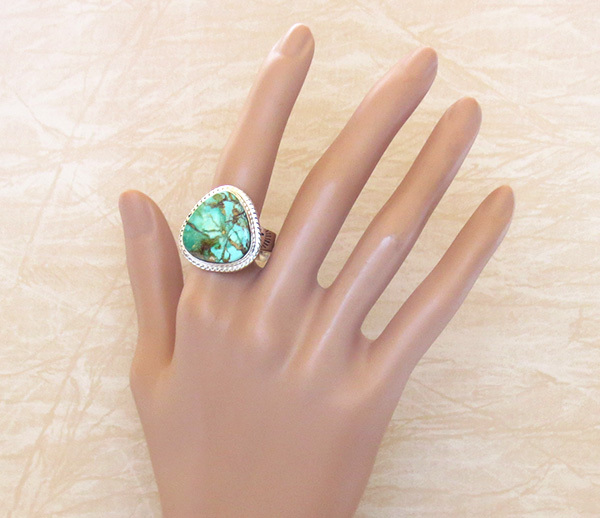 The Turquoise Mountain Turquoise stone on this one is a beauty! 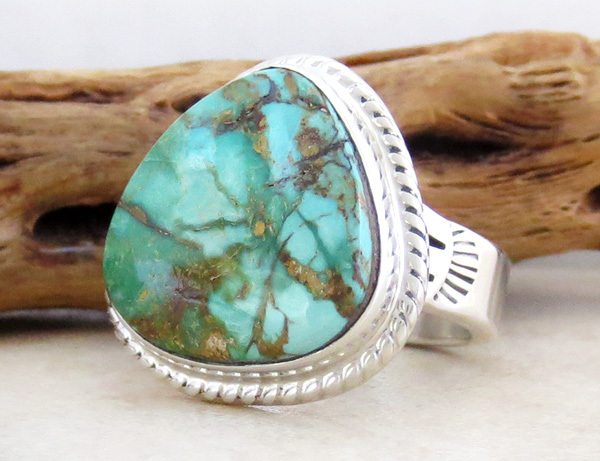 It has a bright lighter greenish blue with darker greenish blue and light to dark gold. 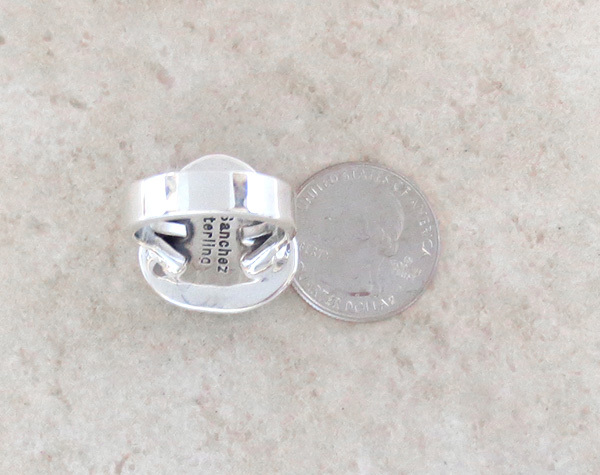 It's 7/8" tall by 7/8" wide.